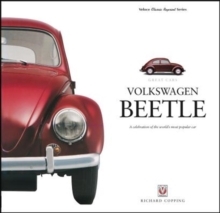 Visit any VW show and what do you find? Correct - wall-to-wall Campers. 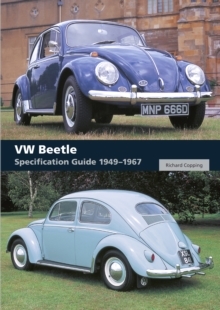 Interest in the numerous conversions offered over the years spirals ever-upwards as do asking prices for even the most dilapidated examples of the first three generations and 40-years of VW Bus conversions. But are there books to match? 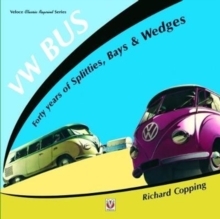 No - not, that is, until VW Bus - 40 years of Splitties, Bays & Wedges was conceived.As a direct consequence of the lack of print available, author Richard Copping has collected a wealth of contemporary brochures from all the leading converters, knitted them together and produced a unique and vibrant story of the VW Camper from the first and often rustic conversions of the 1950s to the sophisticated homes on wheels of the late 1980s.Stripping out the original text, Richard has carefully replaced it with his own lively yet informative story - while carefully retaining both the popular look and nostalgic feel of the age. 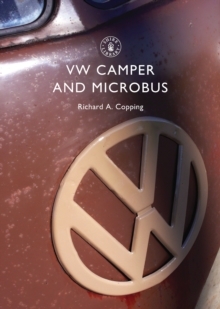 From the untangling of the many stories that contributed to VW Camper history to a restorer's dream of detailed specifications and from the quirkiest of marketing strategies amazingly and endearingly primitive in the 1950s to suavely sophisticated in the latter days, if the word Camper is in it, it's covered.The meticulous reproduction of advertising brochures, many of which can easily be the best part of 50-years old, make this a hard to put down coffee table volume for some - a book with very much in vogue nostalgic visual appeal. 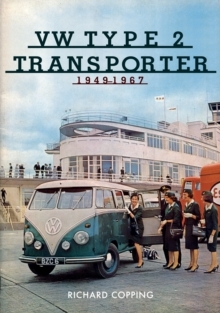 For others, the lure of a lively and informative story peppered with carefully detailed pictures will ensure the book is a useful reference to visit over and over again.This extensive collection of rarely seen advertising material provides a unique background to a much-needed book, designed to delight the multitude of VW Camper fans far and wide.